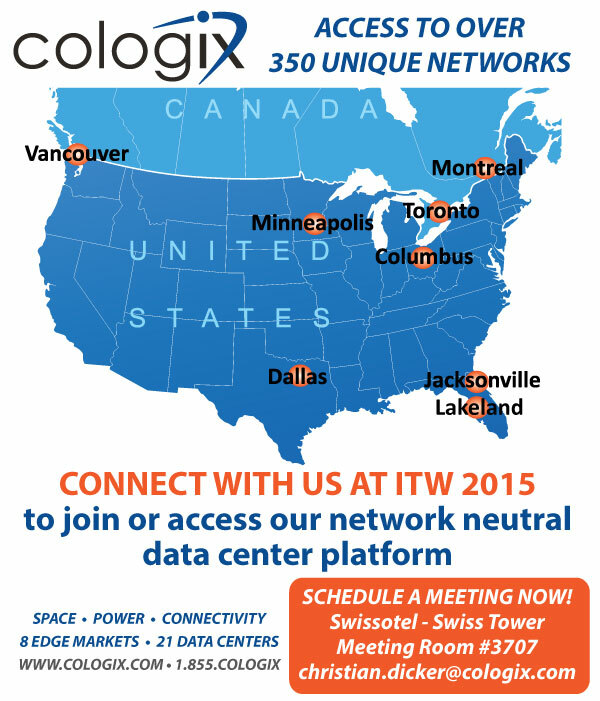 CONNECT WITH COLOGIX AT ITW 2015! Schedule a meeting with us at ITW to join or access our network neutral data center platform. 350+ Unique Networks within 21 data centers in 8 strategic Edge Markets.